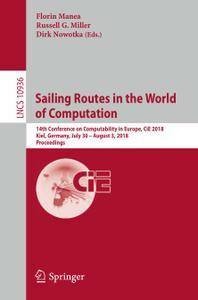 This book constitutes the refereed proceedings of the 14th Conference on Computability in Europe, CiE 2018, held in Kiel, Germany, in July/ August 2017. The 26 revised full papers were carefully reviewed and selected from 55 submissions. In addition, this volume includes 15 invited papers. The conference CiE 2018 has six special sessions, namely: Approximation and optimization, Bioinformatics and bio-inspired computing, computing with imperfect information, continuous computation, history and philosophy of computing (celebrating the 80th birthday of Martin Davis), and SAT-solving.